New juices in stock. Yogi ( Original granola bars, strawberry, blueberry, and a peanut butter banana granola bars) Pacha Mama (Peach papaya coconut cream, Mango pitaya pineapple, and a strawberry guava jackfruit) Cutta Life (Ab neg a strawberry milkshake and Treats a blueberry waffles) Come try them today!!!!! 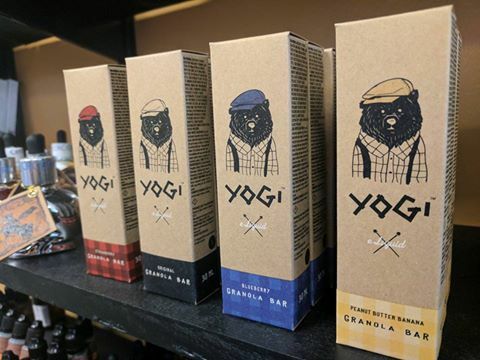 We carry the very finest from Yogi ejuices!